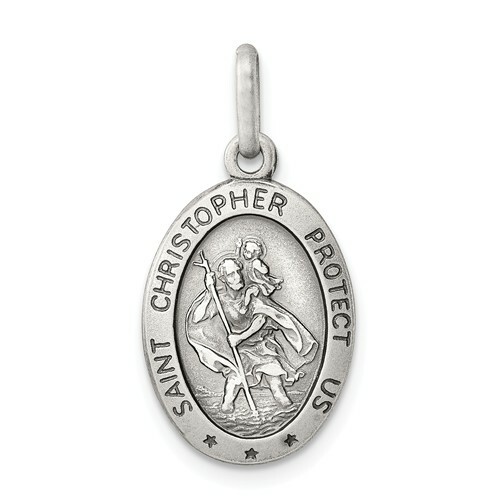 This very small sterling silver St Christopher medal has a satin and antique finish. Measures 5/8 inch tall by 7/16 inch wide without bail. Chain not included. 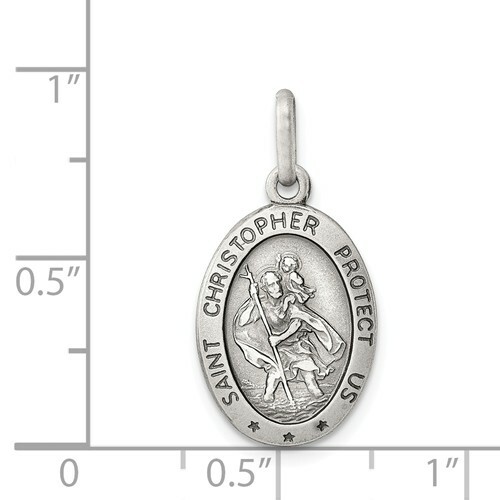 Back is engravable upon request. Weight: 1.7 grams. Made in Italy.